Steven C. Leskowitz attended St. George’s University School of Medicine. He did his internship and residency at St. Michael’s Medical Center, Newark, NJ and his fellowship at Presbyterian-University of Pennsylvania Medical Center. 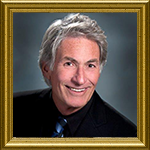 Dr. Leskowitz is board certified in internal medicine and gastroenterology. He has a special interest in endoscopic procedures, including ERCP and small bowel capsule endoscopy.